The Artists and the Elements is an elementary & middle school art curriculum that will make teaching art easy. Seven units are designed to build your child’s knowledge of the seven elements of art, art history, and hands on, fun art projects. It’s all connected! Get my e-book resource now! Start my online art course now! 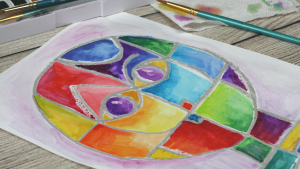 This elementary art curriculum is built around the seven elements of art. The elements are the building blocks of art, the basics! Let me introduce each element through a video lesson and then a hands on video tutorial with information and tips to help your child complete the printable. Students will gain vocabulary as well as some technical knowledge that can be applied to all of their future artistic endeavors! 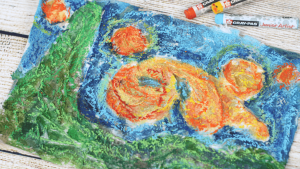 After your child has been introduced to the elements of art I’ll give you resources to explore these concepts further… the easy way. 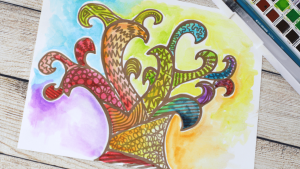 Raising a creative kiddo doesn’t happen from attending an art class for a few minutes a week. You want your kiddo to see the beauty and possibilities all around them and tackle life’s challenges with creativity and enthusiasm. That skill comes from making the visual arts part of the fabric of your day- from learning to think like an artist! Read books about art and artists. Be playful throughout the day. I’ll give you easy ideas for incorporating art into your day when you only have five or ten minutes! 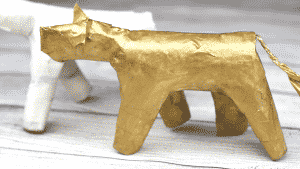 This art curriculum makes art history a fun and accessible part of the visual arts. Instead of seeing famous art as something that hangs on the wall in a far away museum these seven famous artists will come to life through read aloud books and videos just for kids. Printables about each artist will give your child experience and confidence writing and talking about art and artists! While I I show examples and demonstrate techniques the emphasis is always on the fact that your child is already an artist! They make the decisions. Your child will gain confidence in their own abilities and choices that will inspire them to keep making and keep thinking creatively about anything life will throw at them! While the supply list is basic, and can be bought for about $25, the skills are not! 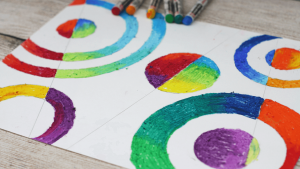 While some art curriculums focus on using just one medium the Artists and the Elements will give your child a well rounded exposure to a variety of materials in both two and three dimensional arts. Of course I’m excited about this program! It’s a culmination of my years as an artist and years of teaching, education, and parenting! I know I’ve created a resource that can help you teach art at home and make it fun and exciting for both you and your child. But… you don’t have to take my word for it. I’ve heard from countless others the ways they use this program to make the visual arts a part of their day. Whether you’re a homeschool mom looking for an art curriculum or a mom whose kids just don’t get enough art at school this is for you! 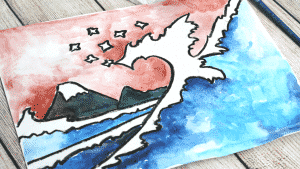 You can teach art– even if you’re not an artist! Maybe you work with at risk kids or in an after school program. Art has a place there too! THE ARTISTS AND THE ELEMENTS AS A ONLINE DIGITAL ART COURSE…. The full fledged digital course allows me to walk your child through each concept and technique with hands on video lessons. Lessons are taught by me. Resources are online and ready for your child to click and go. Gather a few basic supplies at the beginning of the year and let me take over! The digital course will be delivered through Teachable. It’s an amazing way to learn! THE ARTISTS AND THE ELEMENTS AS AN E-BOOK…. Maybe you don’t have access to a reliable internet connection or maybe you want to be in charge of what and how the visual art are presented to your child. This digital e-book is for you. All the same concepts and lessons are presented and ready for you to do the teaching. The same printables are included as downloadable PDF’s. No physical product will be delivered as this is a digital product. We are so excited to sit down to this art class. I am profiting from it as much as my kids! Thank you so much for this art curriculum! It has been the starting point for our co-op art classes from ages kindergarten through eighth grade. I'm so happy with what this has brought our art classes! Bonus #1…….Whether you choose to purchase this art curriculum as an e-book or the full digital course you’ll receive this printable file of 28 full color artist trading cards. Use these for discussion about artist style and trademarks without digging for extra resources! Let kids use them as sketchbook inspiration, wall decoration, a memory game, any way that can make fine art a part of their daily routine! 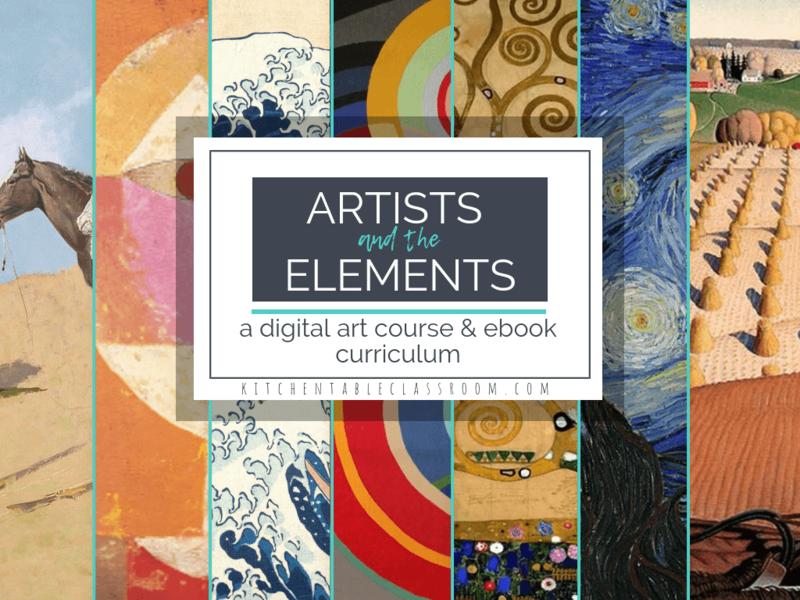 This bonus is just for those of you that purchase Artists and the Elements as a digital course. When you purchase the digital course you will also receive the 95 page curriculum as an e-book as a free bonus. Save it, print it, and use it as a reference! 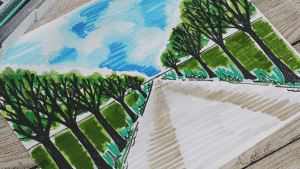 Startmy online art class today for just $97- it's all done for you! Get my Artists and the Elements e-book now! for just $29!